The men’s cross country team started their Thanksgiving break with a short, but exciting, trip to Winneconne, Wis. for the Division III NCAA Championships. The 8-kilometer race was held on Nov. 17 at the Lake Breeze Golf Club and comprised a field of 280 nationally qualified collegiate runners. 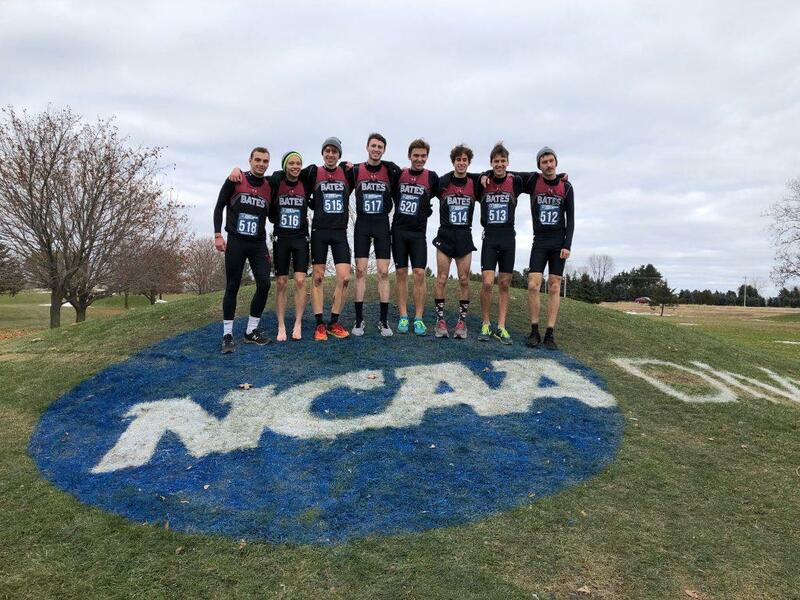 This trip marked the men’s cross-country team’s first presence at the NCAA Championships since 2013, the sixth experience overall, and the first experience traveling with the women’s team since 2012. The men’s cross country team poses above the NCAA at the Lake Breeze Golf Club after racing and finishing 26th. The Bobcats secured a spot at the NCAAs with their impressive results at the NESCAC and Regional Championships. At NESCACs, the Bobcats saw a fourth-place finish and at Regionals earned sixth-place, one point behind Tufts. In both meets, runners competed in grueling conditions which highlighted the team’s perseverance, grit, and strength. Following these outstanding accomplishments, the Bobcats capped off the 2018 season by fighting through blistering and frigid temperatures and finishing 26th out of 32 teams at NCAAs. Bates scored 604 total team points, three points behind Tufts and nine ahead of Claremont-Mudd-Scripps. “I think everyone on the team was a little unsure of what to expect going into NCAAs, and while some things did not go the way we wanted for each of us, we still put together a good race,” Barber said. As for individual scorers, James Jones ’20 placed 28th out of 280 runners with a time of 24:53.8, earning All-American honors, a distinction given to the top 40 runners. Jones is the 15th All-American runner for the men’s cross-country program. The last Bobcat to achieve this accomplishment was alum Allen Sumrall ’16 in 2015. Following Jones was Justin Levine ’20, who finished 170th and covered the course in 25:57.9. First-year Bart Rust ’22 placed 193rd, followed by Barber ’21 and Colt in 207th and 215th respectively. Seniors Mark Fusco ’19 and Nico Johnson ’19 were the two displacers, finishing in 240th and 249th. 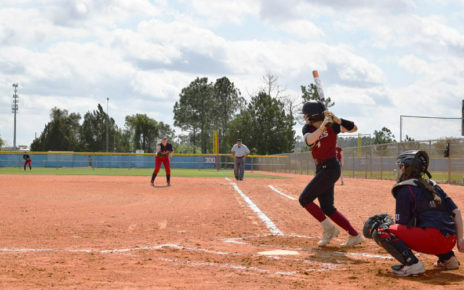 “We were ranked 29th and placed 26th. The team could have definitely done better, but it just leaves the team hungry to go back next year,” Colt said. Overall, this team has seen a successful 2018 season. As with any collegiate team, they have experienced a balance of challenges and victories. Tufts proved to be their toughest competitor throughout the season. To recap the season, on Sept. 15 the Bobcats lost to Tufts by four points at their home course. The team saw their toughest meet of the year at the Connecticut College Invitational on Oct. 13 with a 14th place finish out of 27 teams. Here, they lost to Amherst, Williams, Middlebury, and Tufts. They bounced back on Oct. 27th at the NESCAC Championships where the Bobcats were seeded eighth out of 11 teams and finished fourth. Tufts placed seventh at this meet. They continued this success on Nov. 10 with their 6th place performance at NCAA Regionals. Ultimately, regardless of the outcome of each meet, the team has shown tremendous commitment. By securing a spot at the NCAAs, men’s cross country has capped off a remarkable season and will strive to continue this success as they begin to transition to track. While many students went home, visited family, or traveled with friends over October break, the field hockey team stayed at Bates to play some of their final games of the season.